Having got through Christmas and New Year you're probably looking to do some belt-tightening in January – both in terms of your waistline and your wallet. That doesn't mean giving up spending altogether, but it does mean you need to spend smartly. With that in mind we present to you our pick of the best gadgets for giving you a lot of bang for your buck. These are the devices that won't cost you too much but will last you a long time, or will give you plenty of loyal service until the time comes around to replace them. This isn't the top-end 4K Chromecast, but unless you've got a 55-inch TV set or larger then all those pixels are going to waste anyway – we love the Chromecast because it's so cheap, it's so easy to set up, and it's the simplest way to get stuff from a phone or laptop to a TV. It works with a host of apps on pretty much any smartphone, including Spotify and Netflix. The world is of course now awash with smart speakers but few can match the Amazon Echo Dot for value. You only get a basic, low-end speaker included, but it's fine for alarms and voice responses and the like, and you can always hook it up to a bigger speaker if you need to. 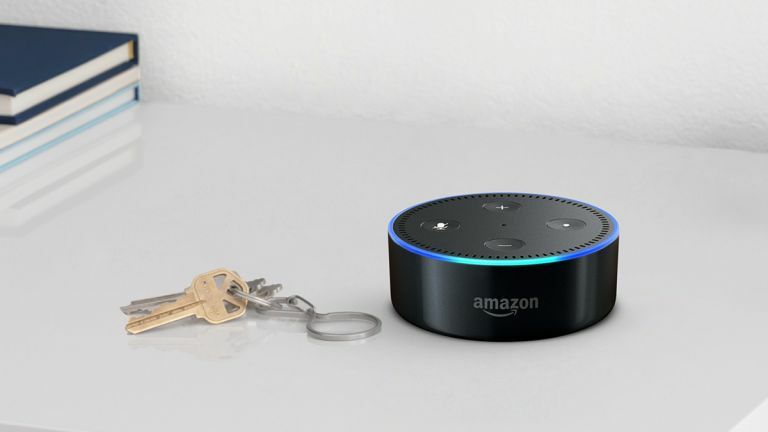 Plus, you've got tens of thousands of Alexa commands ready and waiting for you. There's no doubt the OnePlus 5T costs quite a bit of money, but when you compare it to the other smartphones at the top-end of the market, it starts to look very good value indeed. It's got the same raw power as most other leading Android smartphones, but it costs substantially less, and it looks the part too thanks to that minimized-bezel display. If you're after some kind of fitness tracker to help you see in the new year but you don't want to spend over the odds, then the Fitbit Flex 2 is well worth a look. It covers the basics of steps and distance but will also handle sleeping and swimming tracking duties too, and it looks fine on the wrist. Plus you get that excellent Fitbit app to use alongside it as well. With prices continuing to fall while storage sizes increase, external disk drives are consistently a good value investment, giving you oodles of extra room for not much money at all – especially if you avoid the faster-but-more-expensive SSD drives. The Seagate Backup Plus Slim is an excellent choice, coming in a choice of 500GB, 1TB and 2TB sizes. The Amazon Fire HD 8 might not be the fastest tablet around, and you have to settle for Amazon's cut-down version of Android (without the Google Play Store), but this is hands down one of the best value tablets on the market. You get 12 hours of battery life and Alexa on board, and even if you don't want one yourself, you can always pass it on to the kids. No matter how much care you take over handling your iPhone, accidents do happen – and when they do, the Tech21 Evo Elite Case can prove to be a very worthy investment indeed, guarding against drops of up to 2 metres (6.5 feet). These cases fit pretty much every recent iPhone, but you'll be able to find something similar no matter what your phone. You don't have to spend hundreds and hundreds of pounds (or dollars) to jump into the world of virtual reality, because the Samsung Gear VR will do the job very nicely for much less. Of course it's a lot less powerful than the Rift or the Vive, but if you've got a supported Samsung phone it's almost a no-brainer, with a growing library of content now available. Is it possible to get over-ear cans for listening to audio without spending three figures? Our list of top options proves it is, and riding high in that list are the Sony MDR-XB650BT headphones, though any of the alternatives we've mentioned will serve you just as well. What we like about these is the 30-hour battery life and the Bass Booster technology. Considering the smart Nest heating system can save you hundreds of pounds (or dollars), the Nest Thermostat is one of the best value gadgets that money can buy, and if you're in the US and don't mind slightly cheaper materials, the Nest Thermostat E costs even less. If you're ready and willing to fit the device yourself, then you can start saving straight away.